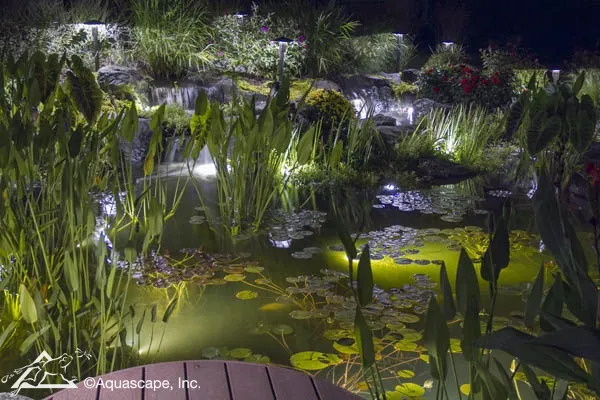 As the sun begins to set, pond and garden lighting create a magical mood in the landscape. 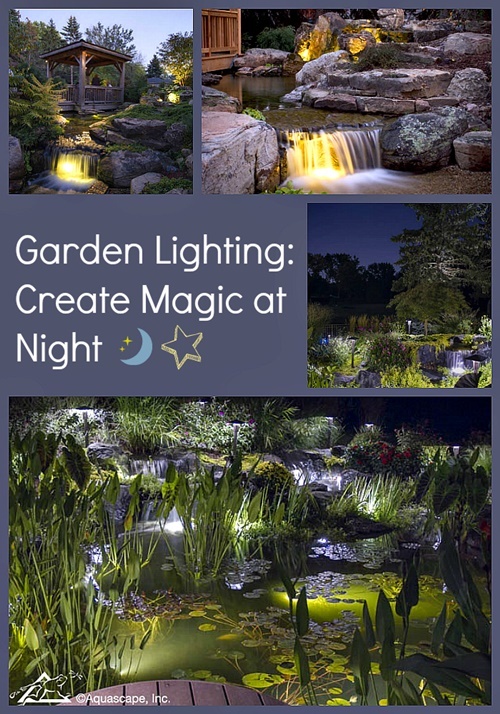 Think of that vacation you experienced at the beach and the serene feeling you enjoyed watching the moon cast a glowing trail over the ocean’s surface. 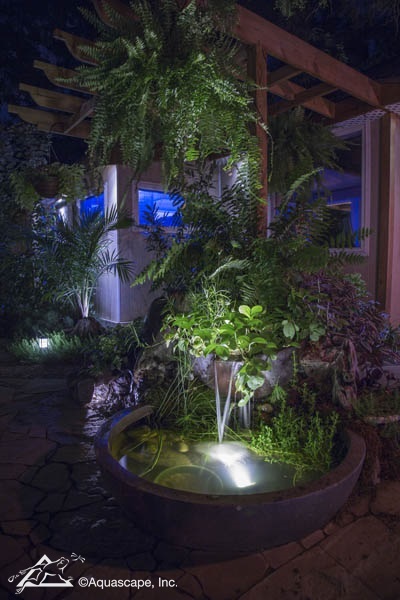 When you add a waterfall or underwater lighting to your water feature, you extend your viewing pleasure well into the evening. 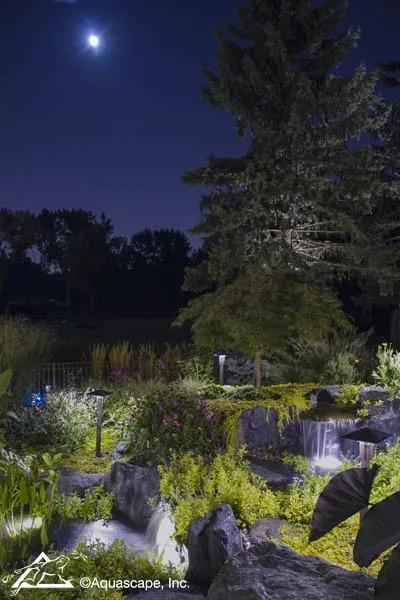 You can add lights during the installation of your water feature, or add later if you see dark spots you’d like to highlight. 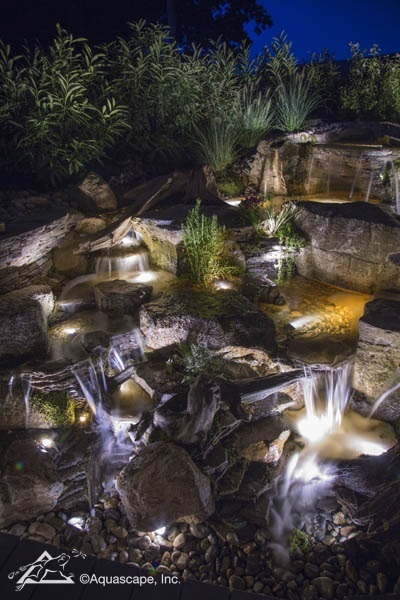 Although moonlight casts its own soft glow in your water feature, waterfall and garden lighting shows the details of the rock and water.